Do you desire more power for your car? 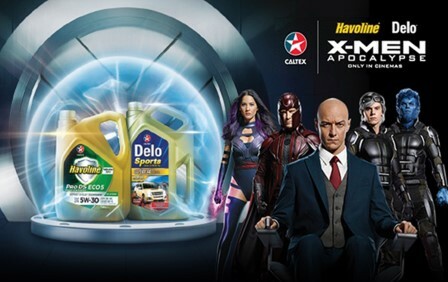 Chevron Philippines Inc. (CPI), marketer of Caltex Lubricants, Havoline® and Delo®, launches the Power of X promotion with its first partnership with Twentieth Century Fox for the latest installment of the most-anticipated blockbuster movie X-Men: Apocalypse. You can experience the Power of X with Havoline® and Delo® when you go to any Caltex service station or Caltex Lubricants workshops. 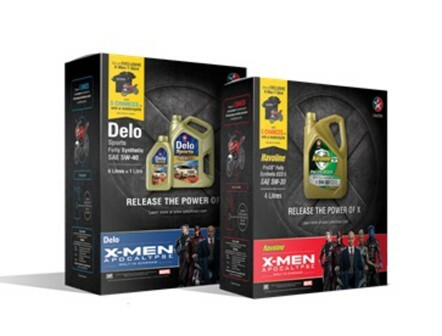 Caltex customers and fans of the film will receive X-Men T-shirts with every purchase of participating Havoline® and Delo® products, plus a chance to win X-Men premium items in the fortnightly draws, and a 150cc Yamaha motorbike in the grand draw.